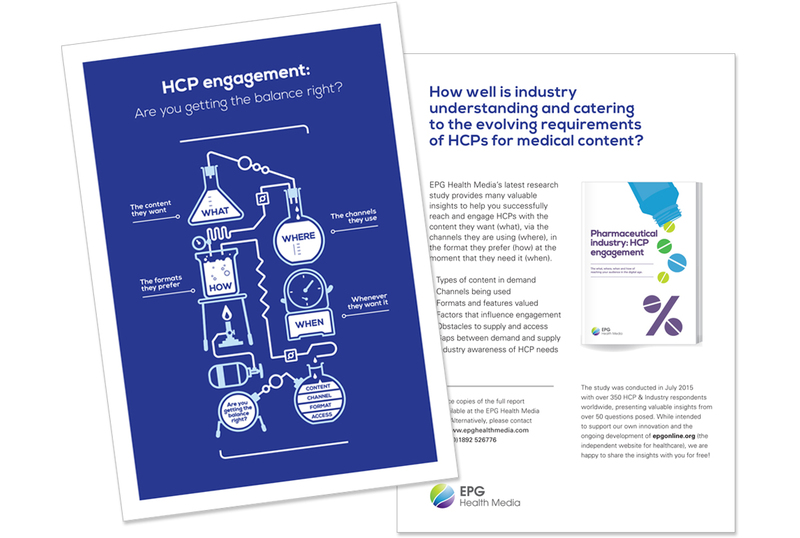 Statistic-heavy report and campaign materials, promoting sales tools to pharmacists. Responsible for: copywriting, art direction and creative direction. 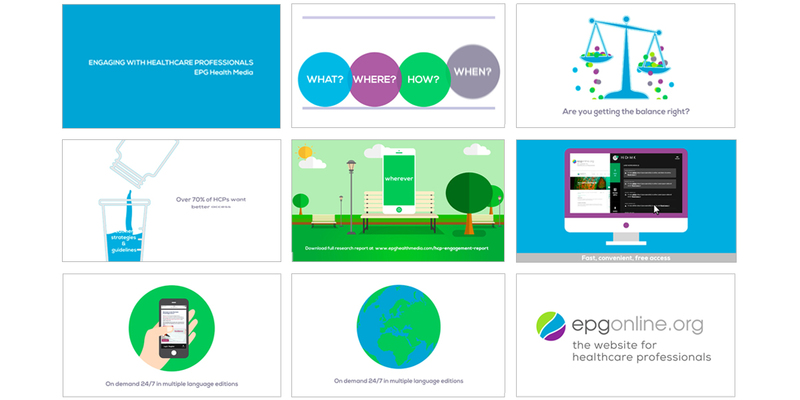 EPG Health Media – Copywriter, art director and creative director. 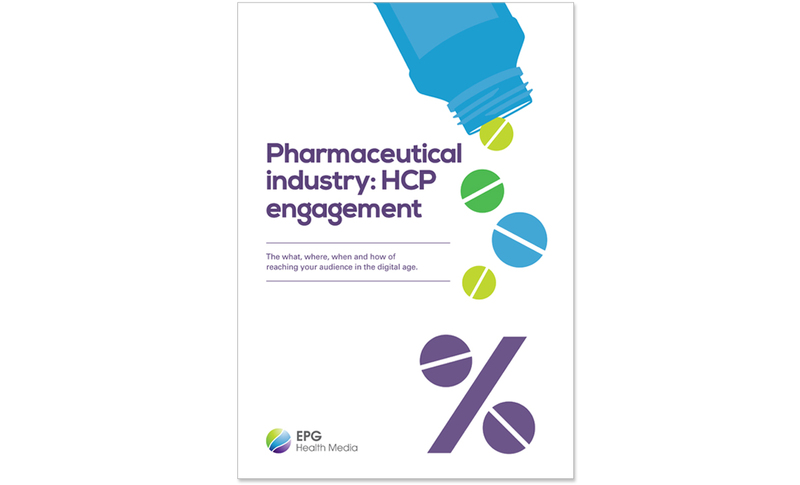 Each year, digital healthcare publisher, EPG Health Media, releases a report aimed at the pharmaceutical industry. 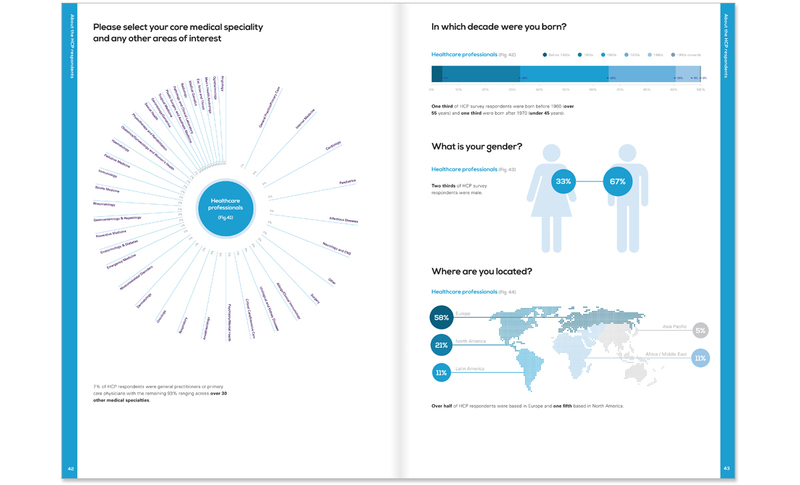 This statistic-led report was launched at the 7th Annual Digital Pharma Europe Conference in Rome, along with supporting exhibition and conference materials. Post-launch, the infographics are being used to drive web traffic via social media. Literature, display, video and presentation materials.